HAVING a problem finding your dream home locally? Here’s a chance to get TV’s top property experts to do all the hard work for you. 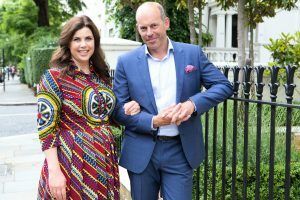 Kirstie Allsopp and Phil Spencer are coming to town to film an episode of Channel 4’s long-running series Location, Location, Location. The programme makers are looking for “chain-free buyers struggling to find the right property” to apply to take part. The online application form can be found at https://www.shortaudition.com/Location-Location-Location.